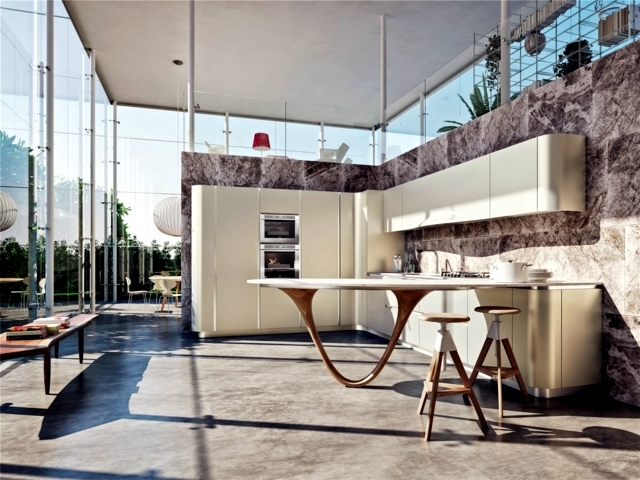 The Italian manufacturer Snaidero has long been known for its modern kitchens This time, however, the design team has outdone himself -. 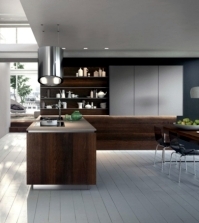 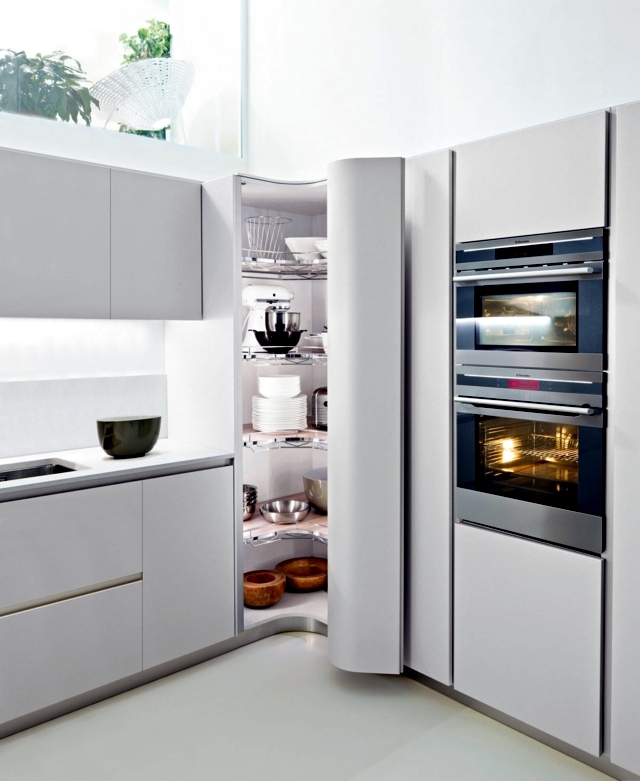 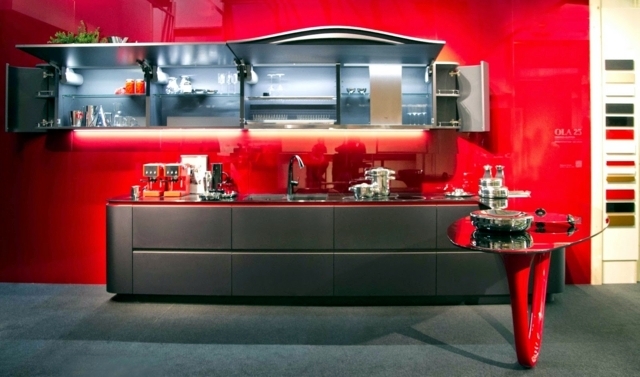 Collaboration with Pininfarina has designed a concept that applies in their kitchen Ferrari. 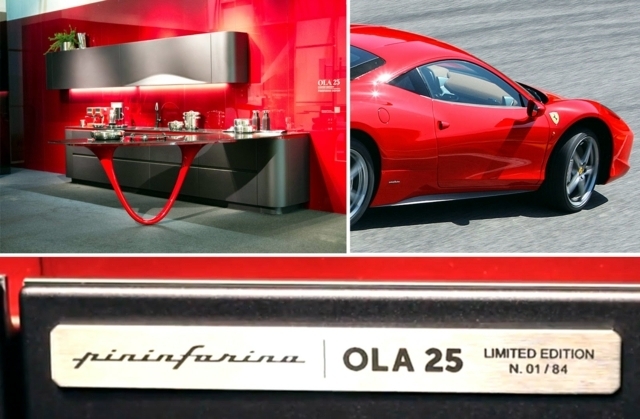 OLA 25 is the latest addition to the wide range of products of the prestigious brand. 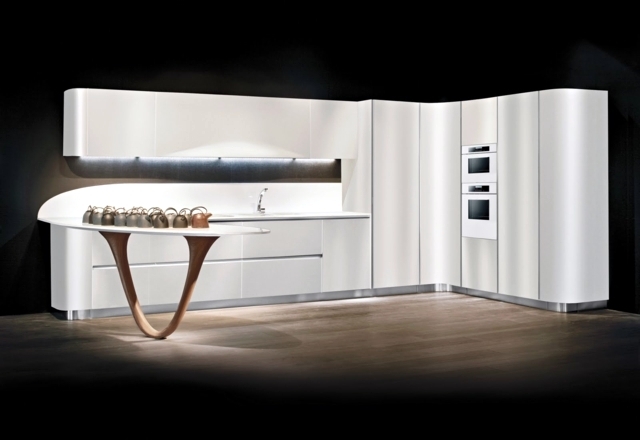 Made of carbon in an eye-catching minimalistic look, with a glossy surface - that OLA 25 presented at the Salone del Mobile in Italian. 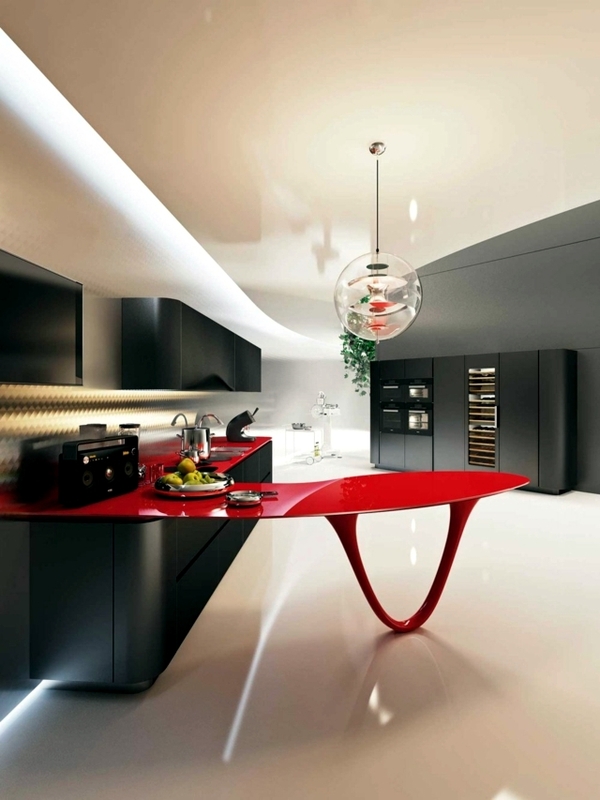 Formula 1 and the golden age of the Ferrari has inspired designers Snaidero on his latest project. 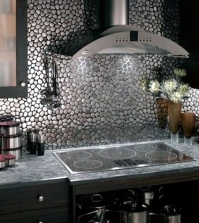 You've decided to give the kitchen a new look Ola their product. 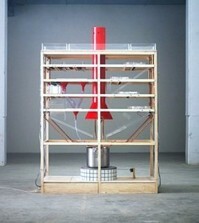 Just said it does! 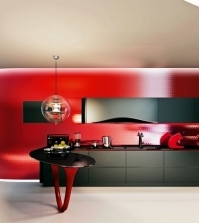 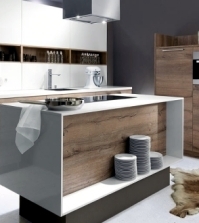 Modern kitchens / available in red / Ferrari brand and captivate with a simple minimalist look. 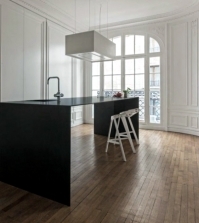 The doors without handles create an optical illusion and you can tell at first glance hard to believe that it is actually a kitchen. 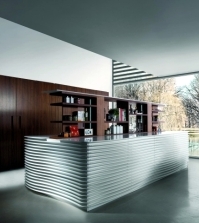 Very similar to the clean lines and the original shape of a Formula 1 - race car. 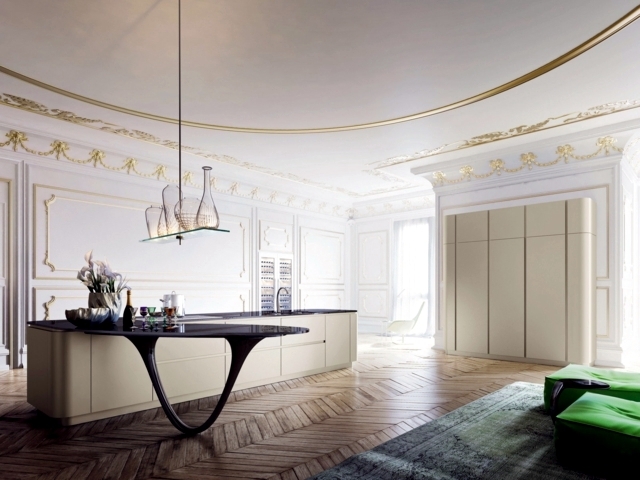 The dining room is a work of art - it seems spoilers! 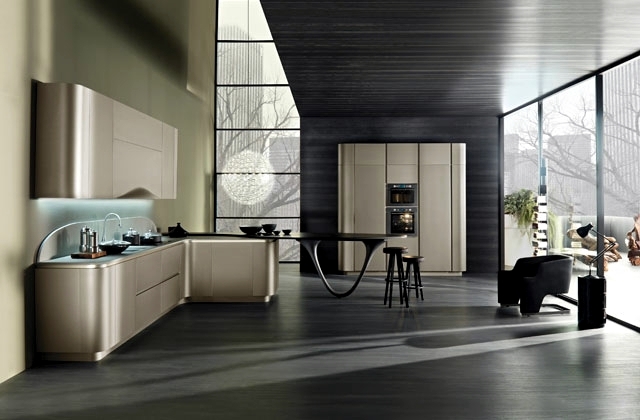 Many small details like the concept should add - the coffee machine in the form of a hood, the cabinets are gray - like auto sport seats. 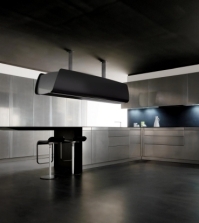 The kitchen inspires not only look stylish, but also with the characteristics - ideas for storage systems and intelligent organization are hidden behind the facades without handles simple. 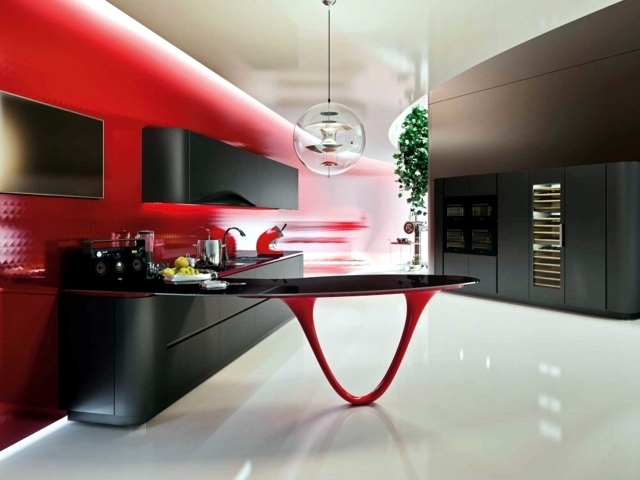 The limited edition red modern kitchen by Snaidero OLA 25 is a nice addition to the living room. 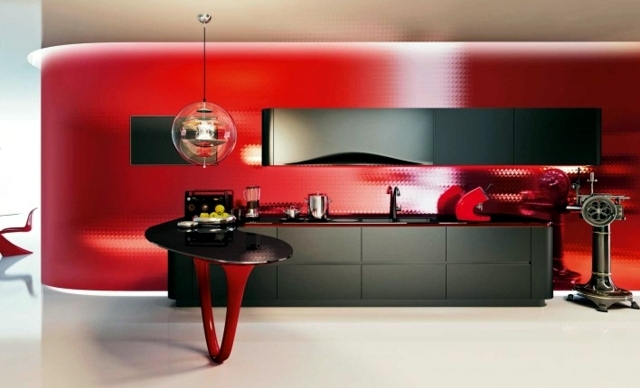 If someone, but have concerns about the color red, so he can buy a kitchen in white or black. 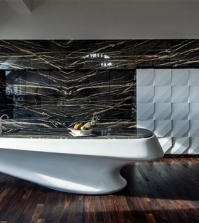 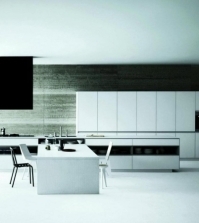 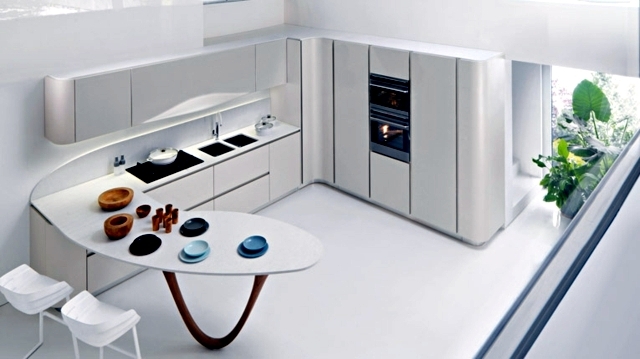 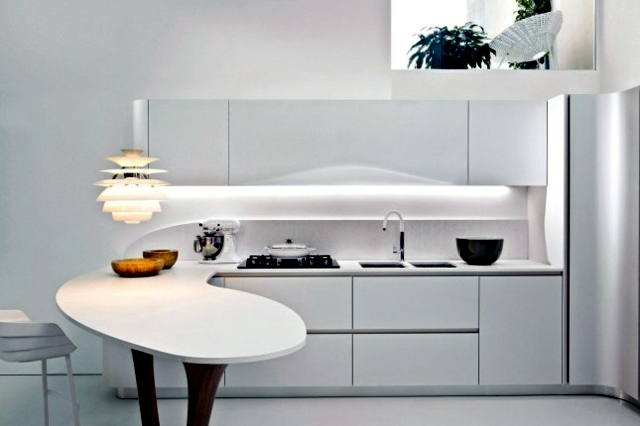 Corian modern luxury kitchen and marble IOstudio.